Elon Musk warned of its unchecked dangers at SXSW. Fox is piloting AI-focused game show “Man Vs. Robot.” But whether on the backend or consumer-facing front, artificial intelligence is making its way to prime time. ZoneTV, a company with partners including Microsoft, this summer will launch a package of 14 AI-powered “dynamic channels” in North America. But CEO Jeff Weber tells CFX the channels —including Foodies, Great Outdoors, Playground and Styler —will augment the core linear experience and serve as a complement, not competitor, to existing pay TV distributors. “We believe in pay TV, we are a friend of pay TV. We think there’s a lot of opportunity here, yet they need to evolve,” he says. With a library of some 70K licensed or acquired shows in place, ZoneTV has deals with an operator in both North America as well as parts of Europe to personalize the viewing experience similar to the way Spotify customizes audio—all using existing set tops and hardware. “Linear, by definition, is static… but we reprogram the channels based on the metadata of what you’re watching and enjoying,” Weber says. Meanwhile, Comcast is leveraging AI across several areas including X1, IoT, customer experience and network performance and “working on AI- and machine-learning-powered experiences in a number of stages of development from experimental to fully deployed,” Jeanine Heck, vp, AI product, told CFX . That includes the X1 voice remote and computer vision. “Last year, we introduced an AI-powered feature that made it easier for customers to see what was happening on their home cameras. That’s the first of what we think will be many advancements in making our Xfinity Home cameras smarter and more powerful,” Heck said. 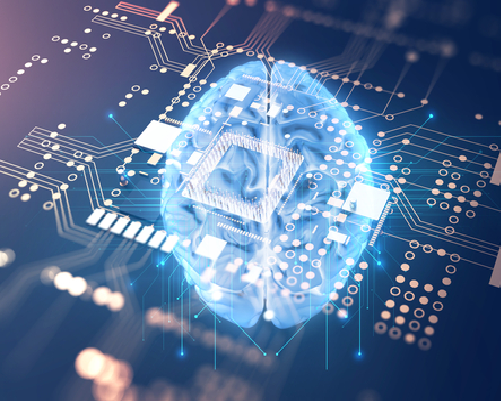 That includes Cisco’s recently announced Crosswork Automation product, which aims to collect, store and process network information using machine learning on an end to end basis, including self learning and self healing networks. Cisco recently bought AI startup MindMeld, a move Holobinko says “is all about developing computer-based conversational interfaces.